OET (Training Orquestra of Tango) was created in 2000 with the objective of forming the young musicians within instrumental practices recovered from the orchestral experiences of Typical Orchestras of the Golden Age. From its very beginning, this Orchestra was directed by one of the greatest composers and arrangers of tango history, the bandoneonist and violinist Emilio Balcarce. The syllabus followed by OET gives the students the opportunity to immerse themselves into the most important orchestral styles of the Buenos Aires musical history: Troilo, Pugliese, Salgán, Piazzolla, Di Sarli, Federico, D´Arienzo, Fresedo, Gobbi, De Caro, among others. Each style is carefully approached from the respective of the original arrangements and it is illustrated by records and biographies. The program requires the students to stay with the Orquestra for two years. The first group graduated in December 2002. Staff: Ramiro Gallo (soloist, assistant violinist), Federico Pereiro (soloist, assistant bandoneonist), Andrés Linetzky (assistant pianist), Nicolás Capsitsky (copies). The selection of the applicants is done by the committee consisting of the Director, the soloist assistants, the Program Coordinator and an outstanding invited musician. The decision is not a subject to appeal. -Execution of pieces given to him/her: Danzarín (by Julián Plaza), for viola and cello, and La Bordona (by Emilio Balcarce), for double-basso, piano, bandoneon and violin; both with arrangements and with the Orchestra. Scores are given for each instrument during registration. Besides technique and musical interpretation, expectations, interest and availability to play in OET are evaluated. Emilio Balcarce was born 89 years ago, in Buenos Aires, where music adopted him as a prodigious son. Violinist, bandoneonist, composer and arranger for the very greats. He accompanied Alberto Castillo, he was an arranger and a musician for the orchestras of Osvaldo Pugliese, Aníbal Troilo, Alfredo Gobbi and Leopoldo Federico. He created the Tango Sextet and, with this group, toured several countries, including Japan, France, Spain and others in South America. In 2000, he became Director of OET, where he got in fluid touch with young musicians for seven years, creating, teaching and transmitting his experience. At 89, director of orchestra, who would have believed … ! It sounds as a lie or a joke, at this age … I had wanted to give up before, but could not … one lets the impulse go and is carried away. I am getting close to 90. The people pushed strongly so that I keep going, but the years began to weigh on me and the possibility of making something worthwhile goes down. No way … there is a time for everything and there is a limit. How were these seven years with the OET? Quite interesting, exciting. Above all, the result has been a group of kids without previous tango experience but who felt the inner drive of getting into the roots of our popular music. Without their true interest in getting to know our music, OET would not have produced the results it did. There was a lot of power from the side of the kids. Besides, a climate, an environment has been generated, as you may have seen. Could you state that the OET is almost a family? Definitely, and I am its Granddad! Did you accomplish the objectives you set when you took over the direction? Without the slightest doubt, and it is not because I say it, the response comes from the public with its applause, with its acceptance. And this happened with the seven Orchestras (one per term). How was your experience with Pugliese’s orchestra? It gave me the opportunity to be a part of the group that was following the steps or inheritance of De Caro, it was its continuation and evolution. But there was another thing of great interest: the orchestra was handled as a cooperative. All its musicians earned more than any musician of the other popular group; everybody worked for the group. I made the arrangements. It was a satisfaction, indeed, to be called. If I stayed with Osvaldo for 20 years, it was because I felt myself comfortable with him. You played also for Alberto Castillo. How do you remember those days? With Castillo, it was really a phenomenon! There was such a thick crowd of people that often we had to pass the double-bass over the public to reach the podium! Castillo was popular for his particular way of singing and acting. The day we started with him, the day of his debut at the Palermo Palace – I believe it was in 1945 – to cross Santa Fe Avenue [MV: an important route in that central neighborhood], the cars had to stop and to go slowly dodging people. Take notice of this, in those years, milongas used to be held on Saturdays and Sundays, but with Castillo, we many times worked from Tuesdays to Sundays all the way through, with performances in the Great Buenos Aires and even in some cities of the interior, as for example, Rosario. After these seven teaching years with young people, how do see the future of tango in Argentina? 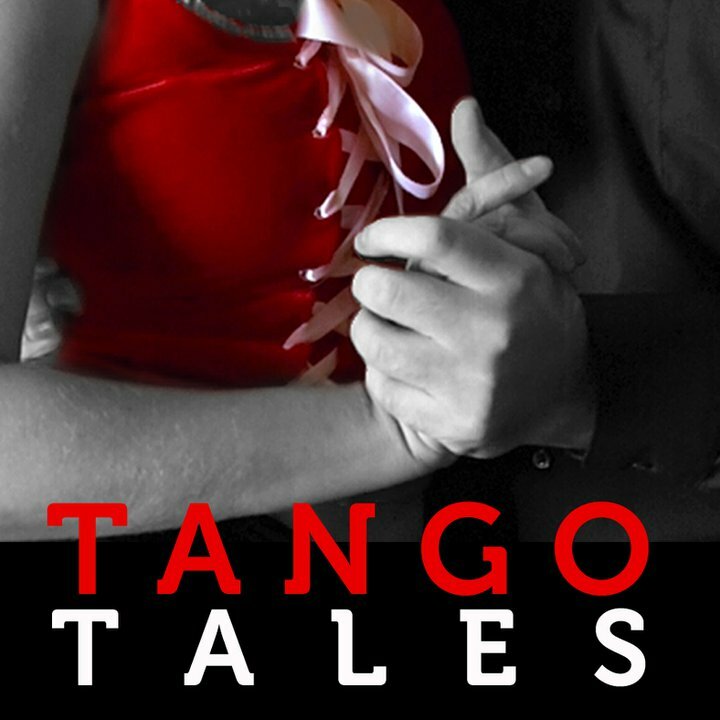 If the kids today are with and for tango, it is because tango has strong roots. However, they face a serious problem: the economic side, the scarce possibilities of professional development. But they do feel it like crazy. They do want to make tango. With what? With whatever is left: with Piazzolla’s heritage, that is what is left. Not because people did not like the rest, but because it has vanished. Other music showed up, taken over clubs, discos, radio, TV, LP records, the great big orchestras have essentially disappeared. Pugliese was probably the only one who could proceed. Piazzolla kept leaving the country and returning, performed a little but could not conquer the listenership. [ MV: I somewhat disagree with this view; this picture is only partially true, Marianito Mores, at 90, is still active, there are TV programs devoted to tango, like AGUANTE TANGO, led by Silvio Soldán, and there are many milongas where the public has improved socially and economically]. Argentina is full of foreigners who come to dance tango and want to listen and hear tango. The interest for our music reached everywhere but, in the end, it is a fashion. You should have seen the Chinese applauding Pugliese! The theaters were a full house! But since we stayed put … they too. Had we continued in that trend, today tango would be different, would have evolved from the 60’s and would not be just Piazzolla. Do you have any other new project in mind? Will you keep linked to tango? Smaller projects: arrangements, compositions. With years the experience is gained but you need a creative spirit for composition and when one becomes old it is difficult to be very creative (smiles). Surely, I am gonna have some composing sprees, and every now and then a few arrangements will come out so that OET can play them or may be some quartets or quintets which the guys struggle to bring forward. Why do you think the media does not advertise the tango as much as it does other styles? Because of commercial interests. Why there is the globalization of music? Because the recording companies make profits, radio and TV, too. They have replaced 14 musicians, all the orchestra, with just four guys … sheer commercial interest. Why have not any great tango composers shown up recently? It happens that a musical composition is based on interest it may trigger. The composer writes it for himself/herself but also to reach the public. How does a musician know what is going to be liked by the public? Very difficult to guess that nowadays. We use to know because we composed that music, we made arrangements and many people could be seen singing and dancing. And what was recorded? The pieces which were well liked or accepted. We are doing the same with OET. We have produced a lot of new music and we play what is liked the most; the rest is discarded. After Maestro Emilio Balcarce’s retirement, –nothing less than at 89 – the prestigious rosarino [ MV: born in the city of Rosario] musician Néstor Eude Marconi (orchestrator, arranger, composer and virtuoso bandoneonist) took over the direction of OET. In this role he will be able to transmit his professional knowledge stemmed in a long trajectory, started at 18, and proceeded without a pause. He played in legendary tango orchestras and shared the podium with reknown artists, in Argentina and abroad. What does it mean for you to direct OET? Will there be many changes to the pedagogy and objectives set for its students? It means a great responsibility because what Balcarce has done is really outstanding. The idea is excellent. To work with the people, some of them are total amateurs, and to teach them the paths traced by tango during its evolution. OET is really a school where each style is a separate course. Great is the responsibility because we should not lose the line left by Emilio. I do not know whether we share the same ways to tell people how to play. I think each of us looks at it from different viewpoints, but the result must be the same, because styles should sound as the original styles. I may feel the ideas of the specific “greats”, like Aníbal Troilo, in a different way from Emilio, but the result must be always the same: the students, the future musicians, must know how those styles were, not to copy them, but as development material, as a virtual experience they cannot live through. In my younger years and even more in Emilio’s, every musician wanted to play the Pugliese or the Troilo styles because we could listen them, they used to play on radio, we could even play with them (they were there). Now the musicians learn from what they hear and through what we [the older generation] are able and willing to transfer. Considering those differences and the fact that before there were no tango schools, is it possible to transfer all that was played in those years? Now we have to transmit it because we have enough material, including original orchestrations taken from recordings. Thus, we do not say “listen and see if you can play in that way”. They read, we try to teach how those musicians used to play, and the students have available all the reading material. In the interview, you pointed out that “the future of the tango depends on the musicians since they are the ones not to give up”. And you added: “But beware, it does not mean simply to do something different, for it has to be different and GOOD”. Balcarce, in his recent interview, spoke about the future of the tango, too, however, he underlined that its future depends on the economic opportunities for the musicians, nowadays those opportunities to make a living by devoting themselves fully to tango are not available. One thing is to talk about “impediments” and it is a different thing [when it comes to] where the advancement for tango can be. If we refer to the economic aspect, we get depressed and stop speaking of tango. I think that the future and the present, – and it always was this way, – are in the hands of the musicians. In any musical genre there is no such thing as a last word. Otherwise, music would have probably ended during Johann Sebastian Bach’s times. Tango, as any other genre of music, has its progress, its opportunities. It depends on the musicians’ proactive attitude. Why, after Astor Piazzolla, tango was not so wide-spread in Argentina as it was during the 40’s in the times of the big orchestras? In this case we can talk a little about the economic possibilities of those years. In 1973-74, I used to work in Caño 14 [MV: literally, Pipe 14, it is said that beggars or scoundrels lived in a piece of a big old discarded drain-pipe], where there was a tango team formed by Troilo, Roberto Goyeneche and the whole Juan Carlos Copes’ ballet. Nowadays, in each place, only a single show is presented with no more than a quartet or even a trio! These are some of the difficulties we face in creating groups, where the musicians can work without the need of too many trips. Up to this point, we are analyzing the cons, none the less, the nowadays tango has also pros: before, our musicians did not leave the General Paz Avenue and, at best, traveled to Rosario or Córdoba. Now, any 18-years-old goes to Japan, USA or Europe. [MV: The General Paz Avenue is a circumvallation freeway marking the limit between the Federal District of the City of Buenos Aires and the Province of Buenos Aires. Thus, when one wants to mean that a guy never left the big city and is ignorant of the rest of the country or of the world, it is said, he/she never went beyond that avenue]. What can you tell us about your times with Copes? His activity was at the beginning almost simultaneous with mine while I [?] was with José Basso’s orchestra and [he] did other things, too. [MV: It is not clear to me what he meant. The sentence is not rightly formed. I think he meant Copes]. It was the 70’s. I think everything was useful, it meant learning, as much with a ballet as with the other things. It was like food that each musician, I would wish, luckily should have, because it gave me the opportunity of working with different professionals in different places and with different orchestras, and all that makes our career. How can an OET musician reach the long trajectory and so many accomplishments as you did in your professional life? Well … Mother Nature’s gift is not bestowed by Salamanca. [MV: It is an old Spanish motto. Salamanca is a traditional and prestigious university in Spain. It means, no matter how good the school is, if you do not have right stuff … forget about it.] It all depends on what you have inside and to be lucky enough to have more or less good guidance. However, sometimes, one gets something out of nothing: how much have we learned, – and it happened to me, – not from teachers, but by simply listening, asking. It is very difficult to avoid the issue of the music market in this talk. Difficult to reach Japan in such a way. No, we get there all the same, because there is such an appetite for tango all over the world that the audience cannot wait until a big company decide to distribute the CDs. We go on Internet. Hence, Columbia, Warner or whatever are not needed. Yes, but it is strange that Argentine companies are reissuing Duke Ellington or others but do not do the same with the Argentine tango. It is weird because at one moment, about 10 or 12 years ago, tango was more in fashion than it is now, and I do not know why, but it did not catch their [recording companies’] interest, they did not invest, they neither produce nor search for new artists. Sometimes they do not even reissue Troilo or Pugliese, as they do with rock, salsa or any of those silly genres. Let us search for a figure, a composer, an author, let us produce him with 10, 12 new pieces, without repeating “Naranjo en Flor” or “Sur”, even though these songs fascinate us. Give the new name a chance, even because his/her face is nice, – but it is not even the case now. What caught your attention the most about the way the different audiences perceived tango while you toured abroad ? It is not surprising any more to know that in many places the people not only listen to tango but they know how to dance it and they are familiar with many names. In the beginning, it used to attract our attention. Let us not talk about Japan, where during Canaro’s times, the Japanese already listened to tangos. But I had the opportunity of visiting New Zealand and someone told me that there are tango academies! What are the festivals and the audiences you played for? They are jazz festivals where you can play any type of music. But they are fantastic because they applaud you as if you were Chick Corea (he smiles). It is interesting because tango for them is still music with a lot to explore, which is not the case with other genres. Similar to symphonic orchestras, which sometimes play tango. It is outstanding, too, that half of the audience at the tango shows in Argentina are foreigners. Well, during the times of Caño 14, which I mentioned before, that place had an impressive artistic team, however, the prices were quite accessible for an Argentine citizen. We did not need tourists. Now, and I do not know why [MV: well, the Argentine economic situation, no news], the gap is so huge that people shy away, when you say 10 dollars. For the tourist 10 dollars [about 6 or 7 euros] is like going out for a cup of coffee. Last year you played in Japan for the “Martha Argerich Meeting Point”. How was that experience? It was strong, because Martha called me, I played with her before in the Colon Theater; I closed the recital, being a bandoneonist (he smiles) … Heck! What a responsibility! Mamma mía! Luckily, I felt myself at home … and it was Japan, where there were my CDs on sale and where I already had a dedicated following. let’s put tango aside for a moment. In the interview you mentioned Quincy Jones and Don Costa as big producers. Do you think there are big producers in Argentina? Yes, there are musicians who can produce music for any orchestra and who, besides that, are interested in the shows. [MV: Sentence is not clear enough.] Right now, within 15 days, I have the opportunity to premier the show with Bariloche Camerata. [MV: It is a well reputed small classical orchestra.] However, the opportunities can be counted on fingers. Therefore, if such opportunities are scarce, how will you be able to know how many musicians can do something like that? There is a bunch of musicians with pieces lying around at home. It happened to Piazzolla: his music was played massively after his death. You played with Lalo Schiffrin in Colonia, New York, San Diego and Portland. How was that experience? Well, we will not deny what Lalo Schiffrin is: anyone is proud to play with him. Perhaps, my approach to him was easier because he is an Argentine and he has known me for a long time; it was very nice because he does not play tango often and he used me quite a bit in supporting roles. He is a fantastic guy, and as we well know, a real talent. Can you tell a story or two from your times with Troilo and Goyeneche? Many stories … and most of them cannot be openly told (laughs). It was nice, indeed, to work with them; it was amusing and music was made with pleasure and fun. With the Pole [MV: Perhaps, Goyeneche was called so because of his origin], one had real fun, and accompanying him was like having a dialogue on the stage – occasionally, in the middle of song lyrics, he sang a joke (smiles). The last one: after such an extensive and prestigious career, do you still have a pending objective in tango? Always there is something left to be done. Directing OET means a big challenge and it appeals to me. For any musician, after a certain age, after some experience, it is a good thing to turn to teaching, too.